COATS ALOE™ CREME is formulated as a skin protectant with allantoin, 75% aloe along with glycerin and shea butter. COATS ALOE™ CREME is fragrance and paraben free. COATS ALOE™ CREME is available in 2 sizes. 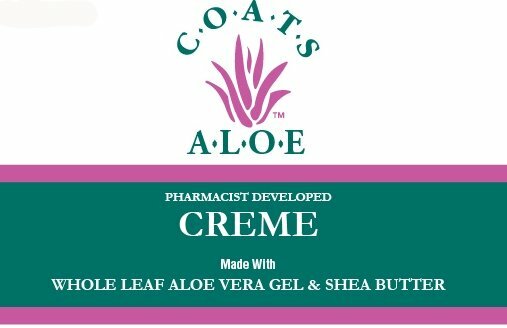 Provide your pharmacy with the information below to ensure you receive the COATS ALOE™ CREME.